Shaken by a recent scrape with death, big-city detective Joe Cashin is posted to a quiet town in on the Australian coast. But soon the whole community is thrown into unrest by the murder of a local philanthropist, a man with some very disturbing secrets. The Broken Shore is a brilliantly intricate crime procedural, and a moving novel about a place, a family, politics, and power. Peter Temple (1946-2018) is the author of many crime novels including Truth and The Broken Shore. Five of his novels have won the Ned Kelly Award for Crime Fiction. 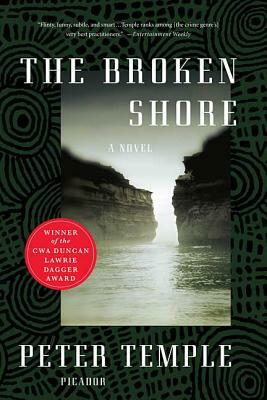 He was the first Australian author to win Britain's Gold Dagger Award for The Broken Shore. He worked as a journalist and editor for newspapers and magazines in several countries. He lived in Victoria, Australia.